More than 100 billion transactions were completed on cashless applications in China in 2016, while the number of mobile payment users has reached half a billion this year, according to official data. China is pioneering the way towards a cashless lifestyle. For many Chinese consumers, the idea of borrowing just doesn't feel right. It seems like Chinese consumers have skipped credit cards and jumped straight to mobile payment apps as they are essentially a digital debit card. 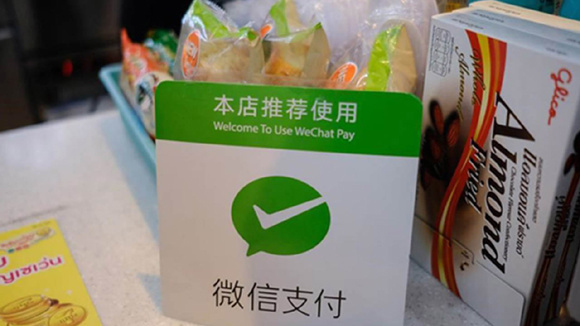 Use of mobile payments such as WeChat Pay, Alipay or Apple Pay has become so common that even street vendors and magazine booths offer the payment method now. Andy Mok, managing director of China business consultancy Red Pagoda Resources, talked to CGTN about the pros and cons of a cashless society. He said the detailed and easily accessible records help people track their spending while security concerns are "overstated" because those same records would help police track the culprit if users' accounts are hacked or their smartphones are lost and used by someone else. Though convenient for consumers, many vendors are actually voicing concerns over the takeover of cashless payment methods. A Beijing taxi driver said that sometimes passengers leave their wallets at home and only after arriving at their destination realize that their phones are out of battery or out of service. So here's the question, are we becoming too dependent on our phones? Is cash still king?